The purchase of personalised registration plates has sky rocketed over the past couple of years. With so many rules and procedures set in place it’s no wonder the process can leave some of you a bit confused. We’ve pulled together a collection of our most frequently asked questions in an attempt to put your minds at ease. So sit back, relax, and learn about buying plates. Can You Change the Character Spacing on My Reg? No, certainly not - it’s Illegal! Not only will you be stopped by the police with confiscation of the plates but you could also find yourself forking out a hefty fine. Does My Registration Need To Be Assigned Instantly? Not at all! The DVLA have actually extended the life of a certificate for up to 10 years. A huge trend at the moment is parents or grandparents buying registration plates for their grandchildren in preparation for a big birthday. This ensures you don’t miss out on the perfect plate and let’s face it saves on shopping time! Most of us have cars but let’s face it…we aren’t all handy men. Believe it or not we get this question a lot and it’s actually quite simple. Head to our website and check out our step by step video on how to successfully attach your new plates in minutes. We can even supply you with a fixing kit. Our kits include a set of instructions, fixing pads (for those steering clear of the power tools), Screws and screw head covers all for under £3. I Don’t Have A Car yet – Can I still buy? Fancy securing that perfect registration plate but don’t have a car yet? Not a problem! You can actually buy a registration plate without registering it onto a vehicle instantly. You can take ownership of the registration years before you intend on assigning it to a vehicle. Just remember, you have to renew your certificate every 10 years! Can Any Registration Go Onto My Car? On a current style registration the two numbers tell you the age of your vehicle! We can see that this vehicle was registered in 2007 indicating that any registration you wish to apply to your car would need to be registered after 1st September 2007. 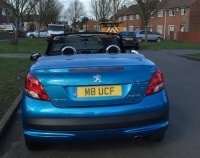 What Happens To My Current Reg Plates? 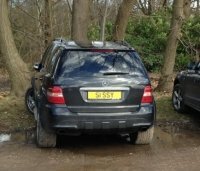 Unless you wish to retain the plates for future use they will become void and automatically reissued to the DVLA. 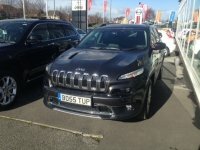 But don’t worry, more often than not if you decide to sell your vehicle in the future the DVLA will reissue the same registration to you if not a suitable alternative. Does The Price Include Plates? Every order placed with us includes the manufacturing of acrylic plates and in fact for us it is compulsory. Here at Primo we want to ensure every single cherished plate that we provide meets the legal requirements. This means you won’t have any issues with passing your MOT and being stopped by the police for owning unlawful plates. How long is a piece of string?... 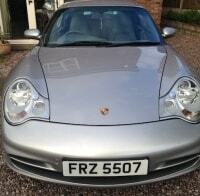 There really is no right or wrong when it comes to purchasing a personalised registration. Some people buy registration plates with the hope that theirs will, in the long run, be a great investment. Plates can range from £250 – Millions... In fact the most expensive plate we have for sale is F 1 reaching over £14million, that’s more than a house in central London! Is The Company Advertising On My Plates? No, companies are unable to place advertising of any kind on registrations. However it is a lawful requirement for every registration to include the name and post code of the supplying manufacturer. We have ensured that this is as discreet as legally possible. Can I Fix My Plates As Soon As I Receive Them? As exciting as it is when you receive your plates in the post we are sorry to say the answer is no. Every number needs to be registered with the DVLA before it can go onto your car… Again this is a legal requirement. Here at Primo we offer two different options when it comes to transferring your registration across. We can actually handle the whole legal transfer for you. Simply return your log book to us in the prepaid envelope provided when you are ready to register your plates. Alternatively we can supply you with a certificate of entitlement for you to contact the DVLA yourself and complete all relevant information. Buying a personalised registration shouldn’t be stressful, but of course with all the different options out there it can be easy to get yourself in a muddle. If you do find yourself confused or unsure about what registration to buy then please, do not hesitate to contact one of our customer advisors on 01252 491111. Whether it’s to place an order or simply answer any questions, we are happy to guide you through the whole process. Alternatively head over to our FAQ’s where you might just find the answers you are looking for.